This gauge ruler from Ann Budd Knits takes the guesswork out (and puts the fun in!) of checking your gauge. 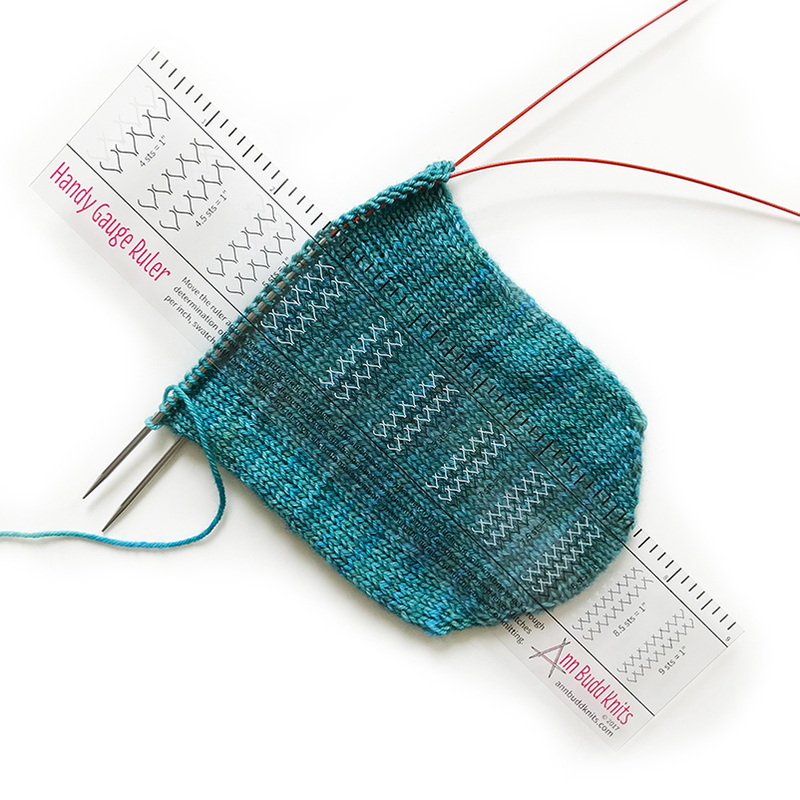 Just line up the transparent ruler's printed guide marks with your work's stitches to easily determine how many stitches per inch you are knitting. The ruler measures 9" long and has guides for 4 - 9 stitches per inch.